Portrait of a Southern Lapwing (Vanellus chilensis cayennensis) from the path from Crown point to Pidgeon point on Tobago. They are rather common on Trinidad but less common on Tobago. This is the only crested wader in South America. Hello Bengt. Super Sharp photo. In my area we have Vanellus Vanellus. This bird is typical in winter when it's cold. Hi Bengt,interesting specie in a magnificent capture with impressives details and very bright colors,i like it!! Have a nice week and thanks,Luciano. Superb picture of this Southern Lapwing with stunning detail and colour. 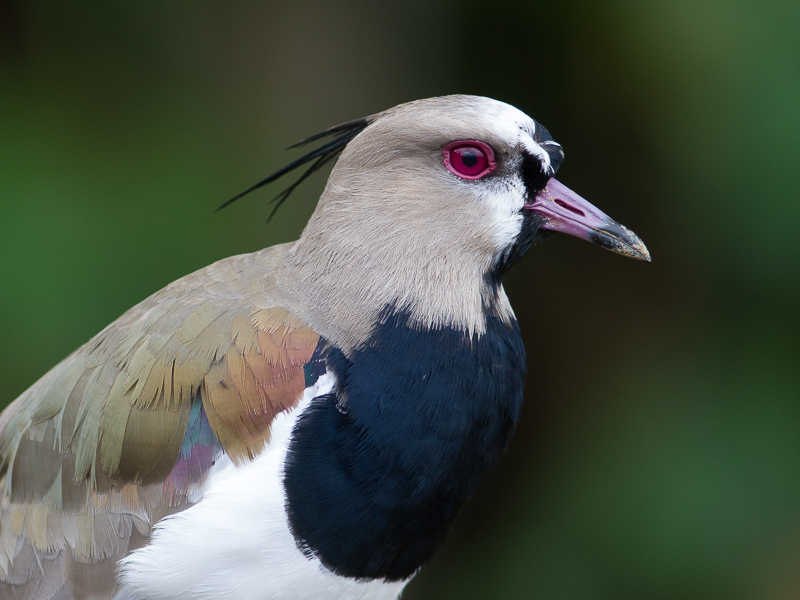 Your portrait shot shows off the pretty plumage of this Lapwing very nicely. It has quite a colorful shoulder patch and it's headdress is very cute as well. Excellent eye contact and just the right amount of exposure. I like it's red eye and reddish pink eye ring. From the looks of the tip of it's bill it's been doing a bit of probing in the dirt lately. Great capture Bengt!! Excellent portrait of this Southern Lapwing in great sharpness, details and very beautiful colours. Gorgeous matching background. Excellent portrait of a beautiful bird. Perfect sharpness details,amazing colors with nice composition. Simply excellent.Details on face is really outstanding.Plumage is showing the beauty.Like its attractive eye.